Having two Bokashi bins means that you can let one bin ferment longer while you fill a second one! Buying this product = 169 Reward points for Members. Your cart will total 169 points = voucher of $8.45. Not a Member? Join at checkout to claim these points. 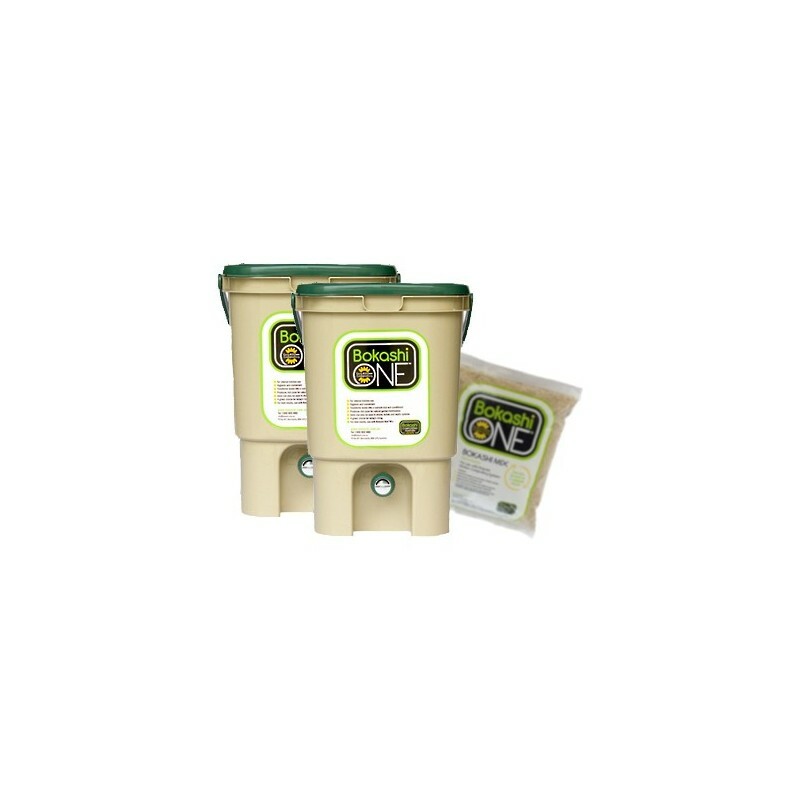 Revolutionise the way you think about composting. Using an organic fermentation process, the Bokashi Bin recycles all your domestic kitchen waste into valuable soil conditioner. Dispose of all your waste in your kitchen, with no smell, no trip to the compost heap and no work to turn the heap. Invented in Japan, this all-food recycling system uses effective microbes or "bokashi" — a Japanese word meaning "fermented organic matter" — to decompose the matter. The fermentation process does not produce smells, so you can keep the bucket under your sink or in your home. Freight surcharge: please note that shipments of the Bokashi bin to all areas of WA, NT & TAS and some areas of SA, VIC, NSW & QLD will incur an additional freight charge. If applicable, we will check this with you before despatch. Every time you add waste to the Bokashi bucket, you sprinkle a small amount of bokashi onto the waste (the bokashi is a fine grain like mixture). Once the container is filled to capacity (about 3 to 4 weeks for the average household), you can immediately shallow bury the fermented waste in your garden, planter or outdoor compost. Or, you can let the waste continue to ferment for two weeks in the other bin and then transfer the matter into your garden. The extra fermentation means the material will break down faster in the soil. In 2 or 3 weeks, the waste you have buried will have broken down into soil (humus) and will be rich with nutrients, microbes and enzymes, all naturally produced. As the Bokashi bin fills, you also drain off a liquid that can be used diluted as a fertilizer or undiluted in septic tank systems and plumbing drains (the microbes help to break down waste in the system). You can even just tip it down your sink to help keep your drains clean. Dimensions: 30cm side x 30cm side x 41cm high. It will fit in the cupboard under some sinks, depending on your space of course. 5L and 2L bokashi refill bags are available. 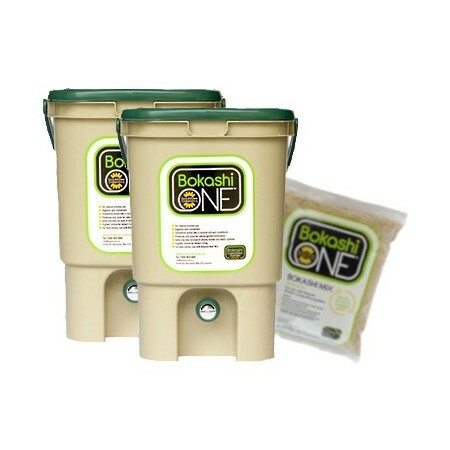 You can also read more about why fermentation is better than composting under the details of the 5L Bokashi refill. For those living in apartments, you could pass the fermented waste on to a grateful community garden, friends, relatives or the apartment gardener.